We manufacture an extensive range of hand lever valves which are designed using optimum quality raw material and are at par with the prevailing industry norms and specifications. These are perfect for corrosive and high purity applications such as hydraulic machines. Pressure: 0 to 10 kg /cm2. Pneumatic hand lever valve aids in opening and closing of the spray nozzles. This valve is provided near the operator’s seat. n order to offer excellent product range to meet the diverse requirements of prestigious clients, we are able to offer Hand Lever Valve. These Hand Lever Valves offered by us are designed utilizing high grade raw material, sourced from trustworthy vendors of the market. In addition to this, the offered Hand Lever Valve is checked on different characteristics to ensure its quality. We are dedicatedly involved in providing an excellent quality array of Hand Lever for catering the various needs of our clients. 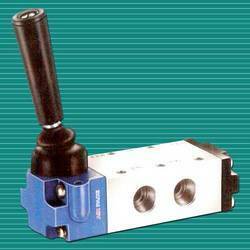 we are the leading suppliers all type Hand Lever Valve in india . Pioneers in the market, we are counted among the best names in tendering world class array of Hand Lever Valve. They are easy to install and available in many specifications. 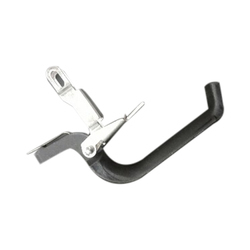 Pneumatic Hand Lever, Size: 1/4-1"